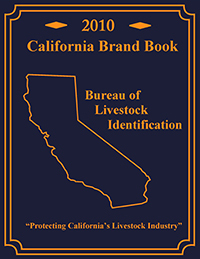 Printed copies of the California Brand Book (2010) are no longer available. CDs of the 2010 Brand Book can be purchased for $30.00 which includes shipping and handling. To order the CD, please click on the link below to download the 2010 California Brand Book order form.